5/32" diameter kraft brown paper covered wire. 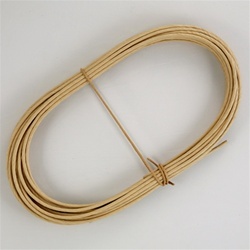 Frequently used in wicker repair. Available in 50' coils, in stiff 16 gauge wire and soft 19 gauge wire. Also available in 3/32" soft wire in a 50' coil.